Every year, those involved in telecommunication analysis spend a lot of money on proprietary tools to collect and process data from their networks. 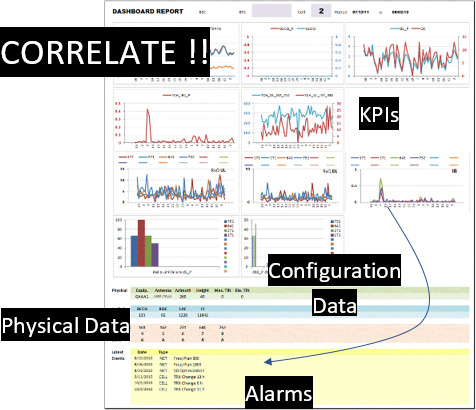 This data includes configuration parameters, performance counters/KPI, alarms, cell traces, logs , maps, etc. Because these tools are developed as a “one size to fit all” solution, they end up imposing generic workflows with little provision for customization. This creates inefficiencies in operator processes that are hard to remedy and also cause unnecessary expenditure on features that are not needed. The nature of the operations and the amount of data involved, leads to customer lock-in due to the hustle involved in swamping out an old tool for a new one. Further compounding the problem is the fact that most of the tools don’t cover the different aspects of the operations. This leads to deployment of multiple tools that in most case duplicate some functionality yet costing a lot to purchase. Furthermore, the advent of new technologies such as IoT, 5G, virtualization and initiatives like OpenRAN has resulted in more suppliers of telecom equipment and infrastructure and consequently more complex multi-vendor setups. With this background, as a community, we believe a more democratic approach to tooling is necessary in the industry. Through this initiative, we will be able to address the above challenges and set some best practices to common tasks. Over the last two decades, a community of telecommunication professionals has come together to collaborate, share ideas, and simple tools like excel macros and parsers. This collaborative experience sparked the idea of developing standards tools and procedures that can be used by all professionals. This initiative was led by Emmanuel (Bodastage Solutions) and Custom Macros (telecomHall and Hunter Solutions). 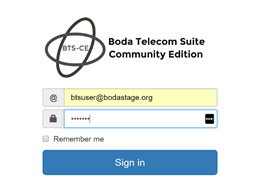 Against that backdrop, this year the telecomHall community is proud to announce the first step in making this vision a reality with the release of a free open source network management tool called Boda Telecom Suite Community Edition(BTS-CE). The project goal is to develop an open source multi-vendor and multi-domain network management tool as well as establish best practices and procedures through collaboration among telecommunication experts. The effort is led by a team of experts from the TelecomHall community. The tool will handle configuration management, performance management, fault management, Geo-location, cell traces, etc… for all telecommunication domains (RAN, Core, Transport, etc). The idea is to leverage the collaborative nature of open source, which is increasingly being adapted in the Telecommunications industry, to build a feature rich platform. The name is bts-ce (Boda Telecom Suite Community Edition). It can be accessed via any web browser and allows simultaneous users. It is modular, with separated modules for each part (Configuration, Performance, Inventory, Geo, etc…). The modularity allows you to use specifically what you want/need, and permit coders to go improving/extending each module individually. Bellow you can find a snapshot of its UI, but if you want more technical details, it’s better to join the project. The project is not the tool only We also work on defining best practices for everyone to use. This is very important, because data alone worth almost nothing. The big advantage is to correlate it all. One of the great advantages of expert’s support is to define cross data. For example, in a KPI chart, I want also to check the information from CM (Configuration) and Alarms (FM). This saves time from users to investigate drilling down into the possible problem causing. In the below example, for example we can see for a cell KPI (some mains Indicators in a chart, with current active Alarms, and also Physical Data (Tilt, Azimuth…) and Configuration Data (RRU, Logical Parameters). The simple correlation of it all gives the user a rapid analysis of the problem. All the best practices and functionalities like above are being brainstormed among experts, and soon will be delivered / launched. The tool is modular. This allows the use of parts of the system (modules), or the complete system (all modules). This also allows for scalability, meaning you can go evolving over time, adding new modules to adapt to changing. The free customization structure, and open source model allows you to develop of a very large number of modules. One can create new additional modules, according to their specific needs. The only limit is the the creativity of each one to create and/or extend their own modules. And don’t worry if you’re not a programmer: if you have a great idea for a module and/or report, just say it in the group . Data information in general of all the equipment (hardware and software) that compose the RAN (BSC, RNC, NodeB/eNodeB/Cells, etc…). Other domains than RAN can be added, and is on the Roadmap, for example to cover CORE and Transport. Technically, inputs are Configuration Parameters, Inventory data, Network Performance Counters, Traces/Logs with detailed call information, etc. The tool can parse it in different formats (XML, Text, etc…) and store in database to later generating the analysis. In short, for those who want . The tool can be used by Operators, Vendors, Independent Consultants, Programmers, Teachers/Students or even only for “curious”. It will depend on what user you are. If you’re an Operator , obviously the cost savings. You will know great alternative tools/methods you can use in your company, saving CAPEX and OPEX. Another advantage is the non-reliance on proprietary tools developed by third parties. Also, an advantage: you can customize the tool, that is, to design the tool totally according to the specific needs - and not only to use the same modules developed for all existing Operators. In the long term with the customization of the tool you can incorporate other modules and systems into a platform contributing even more to investment savings, have automated and customized reports, agility and reliability of information preventing errors in information consolidation. Now if you’re a Vendor , you’ll be able to offer this solution to your clients. Also, your employees will be able to give better support on Operator tickets, once you will be able to analyse other vendors data (there are practically no Operator today that is not multi-vendor). But if you’re an Independent Consultant , it will be much more easier working for several vendors, and often needing to handle different vendor data. Maybe you’re a Teacher/Student . In this case, you’ll have the opportunity to learn and understand how a complete telecom system works through practical examples. As you have the obligation to write one Final Paper/Undergraduate thesis, why do not to choose the project? It will bring together the information and skills that you have learned thus far on your academic journey and set you free to enhance/extend the project with your ideas. And maybe you’re a Programmer . So, the tool is made for you. Be you a newbie or advanced, there are space for you too. If you’re a newbie programmer, and just want to learn code, here you will be in touch with some of professional programmers, using the market proof best languages, databases and procedures. And if you’re already skilled, you can improve it a lot, discussing with experts. And finally, you’re just a curious, or a technology addict , and want to participate in a project that aims to reach the complete ecosystem (get and handle configuration data, performance data, fault data, etc…) and present it in a dashboard. Of course not. And probably, it never will. As they say: the Sky is the limit. Do you share other good resources? We never share any kind of material (docs, training…), mainly if they are proprietary (like documentation from vendors). The tool is totally independent, and without (your) data it is useless. And your data (or you company data) is, like the name say, yours! To use the tool, you never need to upload it. You can install the tool and use it totally offline (your computer/server, your database, your reports). If you want to join the project, and want to join, you can contact us at: telecomhall@outlook.com . Currently the tool is under ‘Beta’ phase. The CM functionality is finished, a and we’re performing tests with other modules. We have a group of volunteers/experts, from all around the globe working 24x7 on the project – it includes the tool development and best practices definition. Practically all experts have full time job, do it in their spare time. So, you can do it also. Well… Give it a try and join it for free. Check it (believe it) with your own eyes . This was only a brief introduction to the Hunter methodology used together with Bodastage to create a customized set of tools and concepts (Best Practices) to help telecom (and other areas) professionals to achieve greater productivity and efficiency in their work! Join the project to know more. Note: the demo is not updated with the latest beta version. Also, it does not have any data. We’ve tested, and the demo is working.